Most of the Asiatics I have grown have had stalks (called scapes) that form an upside-down U before straightening up. All cultivars of a given variety of garlic generally have the same scape pattern before they straighten up; all Rocambole scapes form a double loop while Purple Stripe garlics form 3/4 of a loop. Asiatics have a smaller seedhead (properly called an umbel) while Turbans have a larger umbel that resembles a turban. The umbel is covered with a membrane called a spathe and the pointed end of the spathe is called a beak. Asiatics have a beak of 12 to 18 inches, the longest beaks of all garlic varieties. Not all have scapes but most usually do. The umbels are also called bulbil capsules and Asiatic garlics have few but large, pea-size bulbils in their bulbil capsules. Asiatics usually have 9-12 large fat cloves that form something of a circle around a center that may or may not have a scape. There are few or no tiny interior cloves. 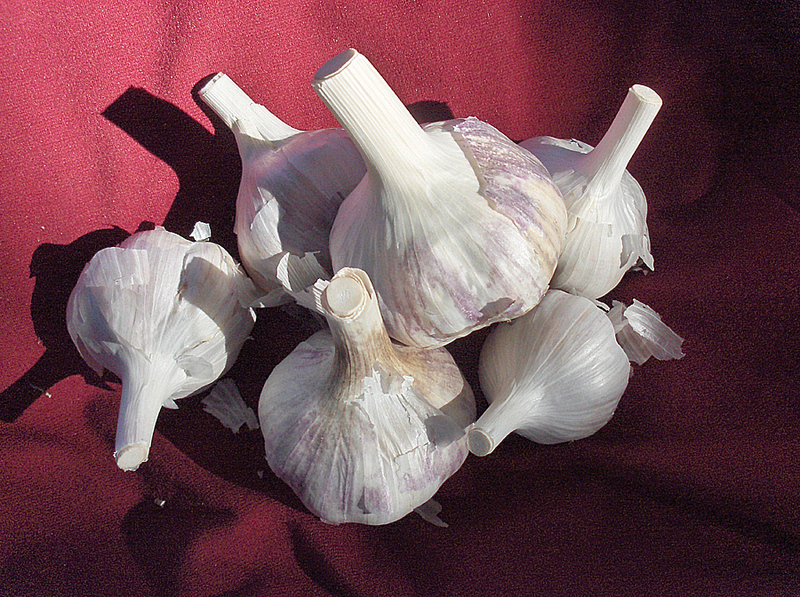 Asiatic garlic's bulb wrappers are often very white but they can have some color some years. Asiatic and Turban garlics were originally classified as separate groups that were considered part of the Artichoke garlics but recent DNA research done independently by a couple of Garlic is Life colleagues of mine, Dr. Gayle Volk of the USDA in Fort Collins, Colorado and Dr. Joachim Keller of the Institute for plant Research in Gaterslaben, Germany, shows them both to be weakly-bolting hardnecks that are distinct from each other as well as the other groups of garlics. Asiatic and Turban garlics are often confused so I am presenting information about both here together to help people identify them. They are the very earliest harvesting of all garlics and if you can grow them you'll have garlic before anyone else is anywhere near ready to harvest. 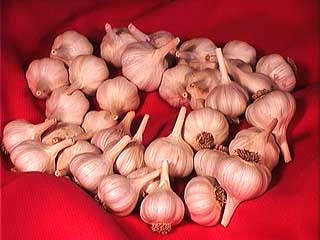 They are short storing garlics as most don't last more than 5 months at room temperature before sprouting. They are always the first garlics to sprout in the fall. They are also unusual in that they don't mature gradually like all the other garlics; when they are ready, their tops start to fall over, like onions. That's too late. The time to check their bulb size and get ready to start harvesting them is in mid-spring before their leaves fall over and they lose all their bulb wrappers, as they will if they stay in the ground for very long after they are ready to be harvested.